University of the Ozarks (U of O) is a private university based in Clarksville, Arizona. The college is renowned for being ranked as one of Southern Region’s top colleges by U.S. News & World Report for the past 16 years. Spread across 30 acres, it has an average enrollment of 680 students from 16 countries. University of the Ozarks has a glorious history that dates back to 1834. It is easily the oldest university in Arkansas and was founded by Cumberland Presbyterians. Despite having an illustrious history, the college was struggling to get students to enroll. The sad truth was that the University of the Ozarks found it difficult to differentiate itself from other colleges. There was consensus among all stakeholders that there is an urgent need to highlight the university’s legacy and why it’s such a great place to study! Freshmen studying at the college as well as graduating students were asked to share their best experiences. They loved the close-to-the-nature setting offered by the college. Several other unique positives regarding the university came from the discussion. An appealing promotional campaign featuring these positives was the next step. The University was using a generic form letter – a decision was taken to replace it with a unique acceptance package welcoming students while hoping to boost curiosity among potential students. Packlane, a company that handles custom packaging, was hired to create the outer box. Several other promotional product companies were hired to create the personalized goodies that were featured inside the box. 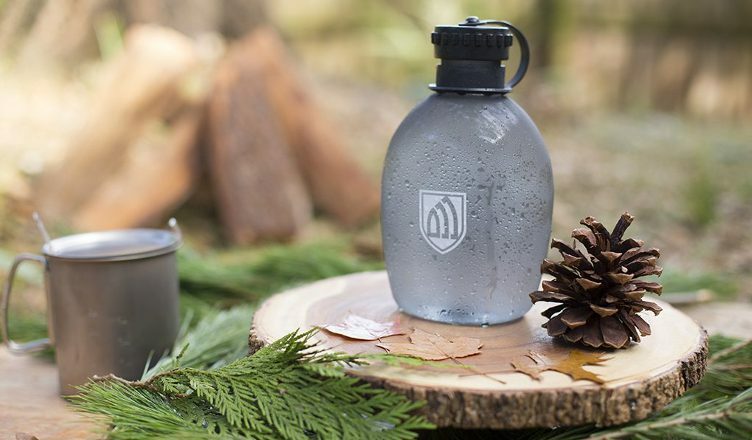 A canteen aimed at quenching thirst outdoors! The Snail Mail approach worked! These boxes were then sent to students. The results were instant – the University reported a 29% yearly increase in student enrollment for 2017-18! This campaign adopts two old-fashioned marketing approaches – ‘snail mail’ and ‘print advertising’. And it delivers results! It goes to show that a carefully planned campaign can deliver results in a big way. Students loved receiving these boxes and eagerly looked forward to joining the college. What’s more, word spread about these boxes and more students began showing interest. The University of the Ozarks’ advertising campaign is a marketing success story that will linger in minds for a longer time. What’s special about this story is the impact promotional products had in its success. At Promo Direct, we regularly create such boxes to help our customers connect with their target audiences. We recommend that you get in touch with us to create a similar campaign for your brand! Our range of school promotional items will win your brand a lot of fans in quick time!